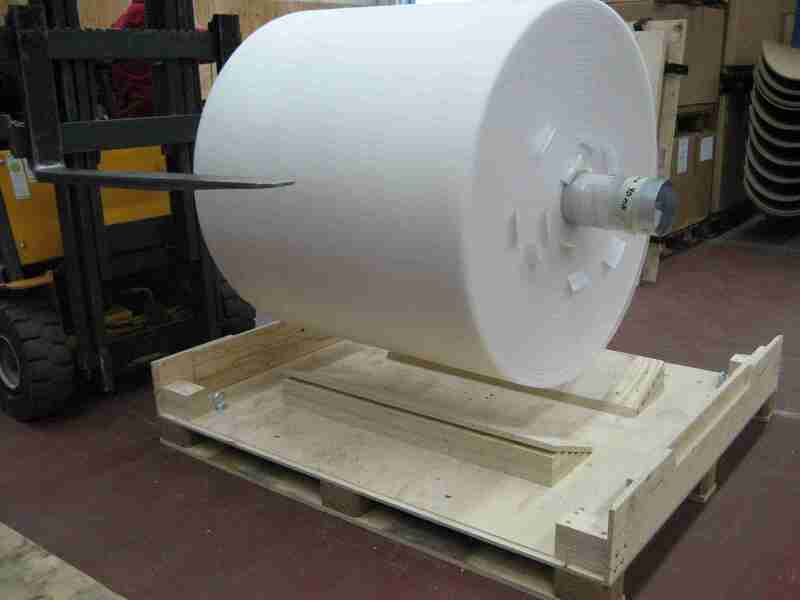 Paper mill suppliers around the world share the challenge of transporting the large rolls of fabric used in paper production. These heavy and awkward rolls must be handled with care and protected from dust and moisture. When Albany International asked Clip-Lok to design a reusable transport box for their fabric rolls, Clip-Lok responded with a solution that was not only strong and protective but also cost saving. The Clip-Lok reusable box is built of heavy-duty plywood panels according to individual size specifications, and held together with strong spring steel clips. 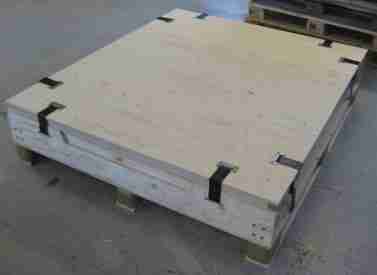 Custom designed dunnage cradles the sensitive fabric roll securely in the box. The top and sides of the crate are quick and easy for one person to build-up and remove, allowing easy loading and unloading access. When loaded, the boxes can be double-stacked saving costs on transport. When emptied, the box can be flat-packed in just a few minutes. 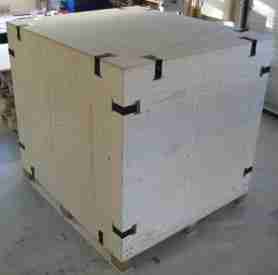 This reduces the box volume to a minimum, saving costs on return shipment and storage. The plywood used in a Clip-Lok box is extremely durable, weatherproof and certified environmentally friendly. Despite pressure, vibration, impact, stacking etc. the boxes can be used time and again – typically over 100 transports with normal handling. And thanks to customized loading plans and flatpack returns, costs and pollution are reduced. Albany International is just one of hundreds of companies using Clip-Lok boxes for the transportation of large, heavy cargo.